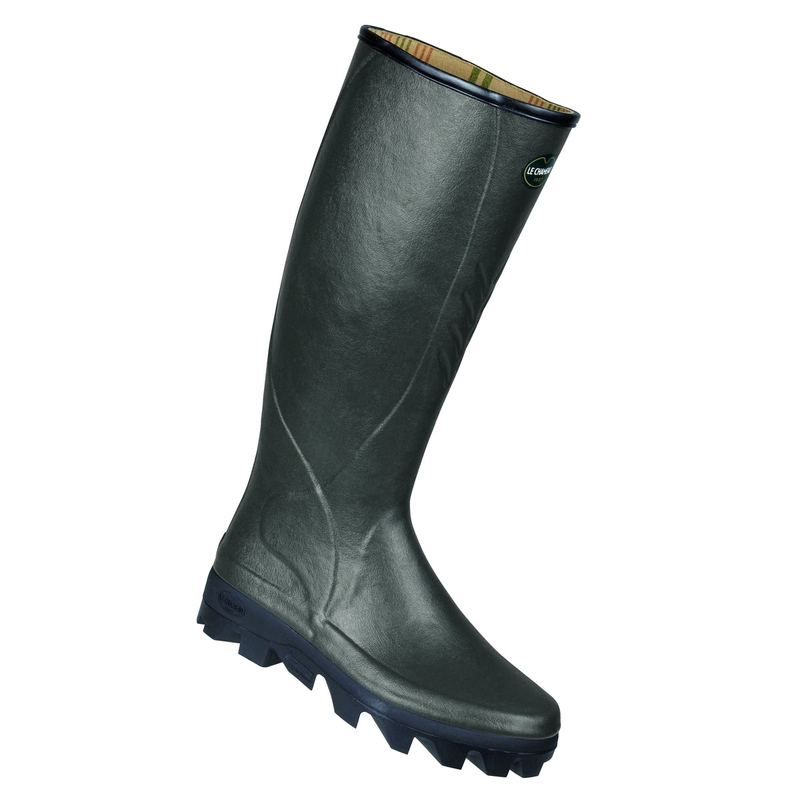 All the lightness of a Le Chameau Jersey lined boot, together with the performance of a Michelin sole. An agricultural boot with a strengthened XL upper with a larger calf size. With a dual rubber compound sole, grip from pneumatic style tread for greater performance (adherence, long life, comfort). Great product great company service and fast delivery. I agree with the comments made by Jim Leslie about how difficult it is to put these boots on, due to the in-built rubber heel grip. However, I solved it by buying a cheap long-handled plastic shoe horn from Amazon for &pound;3, and they now slip on with no problem. They seem harder wearing than most rubber boots, and the very deep sole pattern gives the best grip I've found in thirty-plus years of regular boot wearing in the countryside. Bought a pair online and found that they are very difficult to put on due to tightness of the rubber around the instep. I have worn wellingtons for many years and have not had this trouble before. To me it looks like a fault in the design. I would not buy them again because of this issue. Suggest you try them on if thinking of buying.